Nat King Cole, Born Nathaniel Adams Coles on March 17, 1919 in Montgomery, Alabama, Was an accomplished Jazz Pianist & Singer. Well Known for his smooth Baritone voice, his voice commanded his audiences worldwide. Nat “King” Cole decided to make some small changes to his name, he dropped the S off of his last name. While performing in night clubs with his brother he soon began using his nickname “King”. Hence Nat King Cole was born. As a Virtuoso on the piano his first love was Jazz music, even though he was raised as a baptist in Chicago, Illinois. He formed the King Trio Band, they would perform all over the country. Nat was wildly successful in his lifetime and especially in that era (1930’s-1960’s). 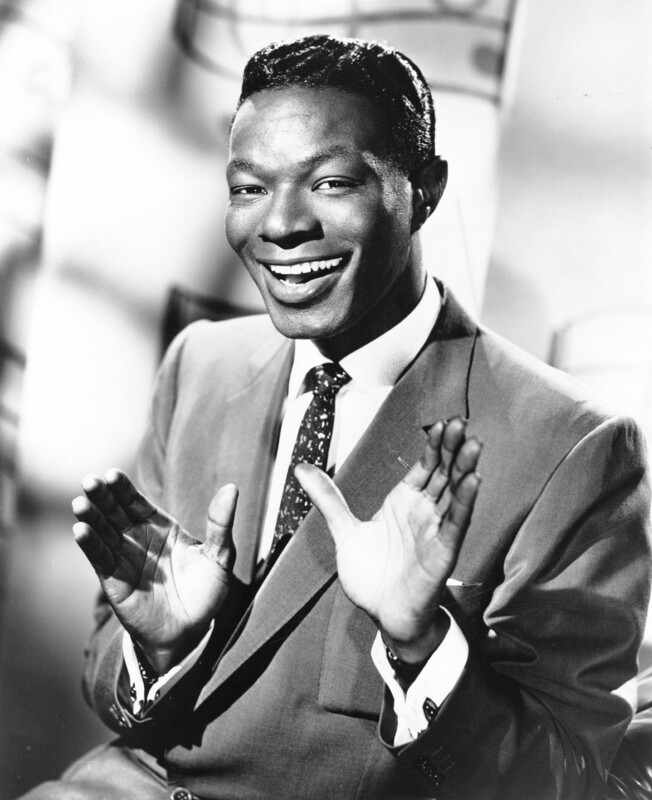 He was the 1st African American to have his own TV Show The Nat King Cole Show which aired on NBC for 1 year. It was cancelled by Cole himself frustrated with the lack of national sponsorship. Throughout his stellar singing career he created some of the most well known songs in the history of music including The Christmas Song (See Lyrics Below) Mona Lisa, Straighten’ up & fly right, Route 66 & Unforgettable. All smash hits Younger audiences may remember his daughter Natalie Cole re-recording his famous song Unforgettable as a duet with herself in 1991 & Winning multiple Grammy Awards for that very song and album. Nat King Cole wasn’t an activist by his own admission, he would referred to be called an entertainer. However, no one can takeaway his legacy for being one of the best attributes to the entertainment field. On February 15th, 1965 he died after a short battle with Lung Cancer, it was widely known that he was a heavy smoker. He was only 45! Nat King Cole while not a Activist on the front line in the Civil Rights Movement did a lot to break down barriers in the racial divide. His ability to serenade an audience of both Men & Women, Young & Old, Black & White was like no other. We are forever in your debt, #Thankyou.